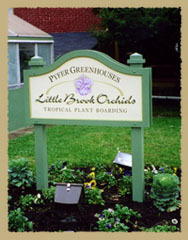 Inventory at Little Brook Orchids is extensive and always changing. Because of this, we offer the following lists to give the customer an idea of the variety we carry. For availability, blooming status, pot size, and cost, please email (info@littlebrookorchids.com ). Upon request, the most updated lists can also be emailed to you. Be sure and check out our “Shop” page to see a few of our current favorite orchids.